Jack and Elsebeth Smith when I first knew them. 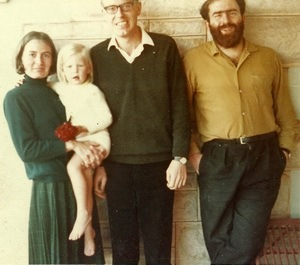 Jack and I were both post-docs in the Mathematical Physics Department at the University of Adelaide. Earlier at the University of Edinburgh, Jack, under the supervision of Peter Higgs, had written a Master's thesis, Gauge Invariance in Quantum Electrodynamics (QED), whilst my ANU PhD thesis, developing new and improved computational methods for evaluating Feynman diagrams in QED, which bypassed the need to apply the mathematically dubious scheme called "renormalisation", was entitled Dispersion-Theoretic Approach to Graph theories of Charged Particles of Spin 0, 1/2, 1. We had common interests, with one joint paper dealing with decay modes of the eta (η)meson. 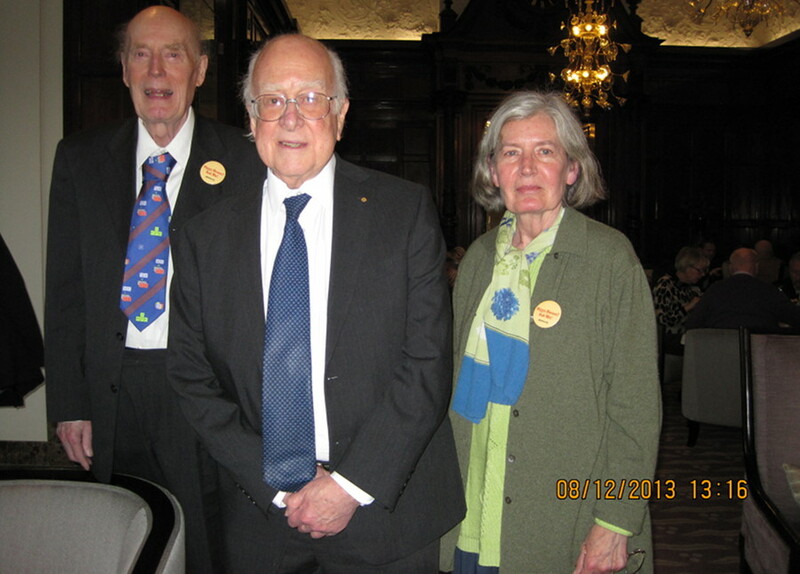 Jack was invited by Peter Higgs to be a member of his party attending the Nobel Prize award ceremony. V Ravindran, J Smith, WL Van Neerven, Next-to-leading order QCD corrections to differential distributions of Higgs boson production in hadron–hadron collisions Nuclear Physics B,Vol 634 (2002) pp 247–290. John (Jack) Smith travelled to the 2013 Nobel Prize Award Ceremony as the guest of Peter Higgs, who shared the 2013 Physics Prize with François Englert for proposing what is known colloquially as the God particle, elsewise as the "Higgs boson", discovered at CERN's Large Hadron Collider. Australian scientific satellite launched 2002. Ruby Payne Scott also born in Grafton, NSW.